The standard roof pitch is 6:12. Optional pitches range from 3:12 to 12:12. Roof deck: 24 ga. Steel Panel, 24 ga. Steel Standing Seam, 2x6 Tongue & Groove or Structural Wood Panel Roofing materials: 24 ga. Steel Panels, 24 ga. Steel Standing Seam, Asphalt Shingles or Cedar Shingles Single Roof Configuration: All Sizes Two-Tier Vented or Clerestory Roof Configuration: All Sizes Three-Tier Vented or Clerestory Roof Configuration: 36’ and above See options and accessories pages for available upgrades. 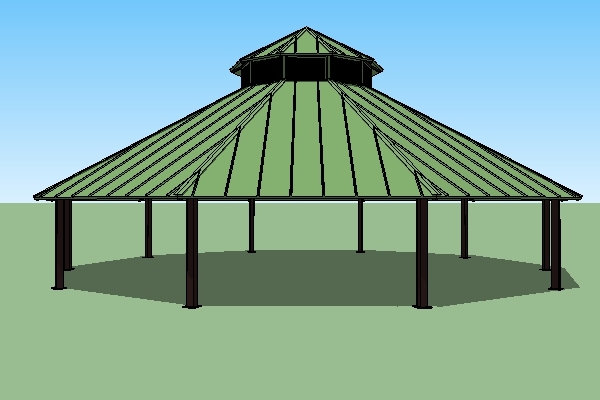 ICON's line of Industry Standard Shelters can be modified and accessorized in many ways to produce a custom looking structure. 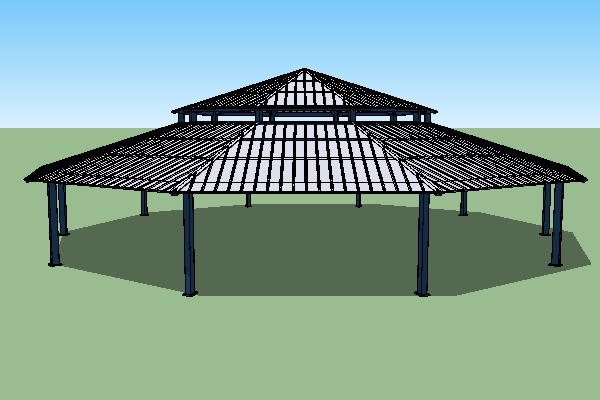 You chan change the the overall size in one foot increments, raise or lower the roof pitch, raise the eave height, extend the eave overhang, and add a roof tier or two without adding custom design charges. Accessorize the shelter with one or more of the many optional features, such as: cupolas & weathervanes, handrails & overhead ornamentation, clocks, premium columns, enclosure panels, and display cases. 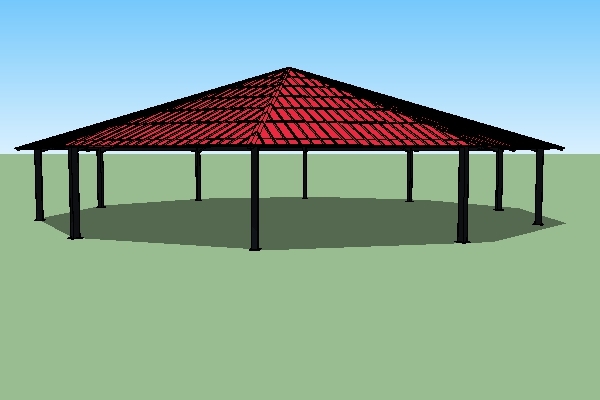 ICON designers and engineers can work with you to modify the features of any shelter. Your local rep is Icon Shelters. They will be in touch with you shortly. Looking for access to hundreds of drawings? Create an Account in one simple step. © Copyright 2018 ICON Shelter Systems Inc.